The word for this college basketball season? Opportunity. A chance for so many who have waited so long for their next Final Four – or their first one. Why? Let us count the ways. Variety. There have been 17 different teams ranked in the top five of the Associated Press poll. Vulnerability. Unranked underdogs have 25 wins over top-10 opponents, and 17 over top-five teams. For blue-blooded wobbliness, consider Kansas’ pair of home losses by double digits. Or North Carolina losing at home to Wofford. Or Kentucky’s 4-3 SEC record. The Wildcats are behind Florida, Auburn and Alabama in the conference standings, and this ain’t football. Tight squeezes. Gobs of ‘em. One of every six Big 12 league games has gone overtime so far. There were 13 overtime finishes in the nation this past Saturday alone. 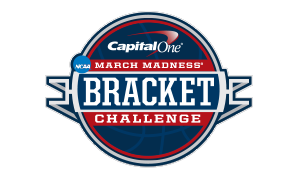 Get a head start on the official NCAA Bracket Challenge Game. And finally, the most impressive team anywhere at the moment hasn’t been to the Final Four in 38 years. Purdue is on a roll, with enough shiny numbers to make a computer smoke. If you added hunger into the metrics, the Boilermakers would be the No. 1 seed in the tournament, slam-dunk. A frequent Big Ten contender, they haven’t shown up in the Final Four since 1980. In the nearly four decades since, eight other current league members have made it. That includes – and this really fries their bacon in West Lafayette – their in-state pals at Indiana four times, with two national championships. The time may be ripe. With few – if any – super teams out there, the road seems unusually open for those in waiting. That’s a growing theme in this turbulent season, and will become more important as March nears. Look at last week’s AP poll. No. 2 Virginia? The Cavaliers have been only twice to the Final Four, the latest 34 years ago. Their only Final Four victory on record is the third-place game against LSU in 1981. That was the last third-place game, by the way. No. 6 West Virginia? One national championship game appearance to its name, when Jerry West was playing. No. 7 Wichita State? Never won a Final Four game. No. 8 Texas Tech? Never been to the Elite Eight. No. 11 Xavier? Might be the best program right now without a Final Four. Twelve of last week’s top 25 have not been in the Final Four in the past 25 years, eight of them never. And then there’s No. 3 Purdue. “They have a special team,” Iowa coach Fran McCaffery said after getting steamrolled Saturday. This is what he means . . . The Boilermakers are 19-2, with the nation’s longest winning streak at 15 games. Their 22.6 scoring margin is the highest in Division I. Only one of their last 11 wins has been by single-digits. They’re 8-0 in the Big Ten. They have trailed 11:44 combined in all those games. That’s under 12 minutes out of 320. Their biggest deficit so far in conference play has been four points. Their two defeats came in the Bahamas, so they’re 18-0 on American soil. They’ve held 12 consecutive opponents under 70 points. Isaac Haas, Purdue’s 7-2 anchor, has taken only six shots and scored only five points the past two games. The Boilermakers won by a combined 51 points, anyway. They shot only four free throws and made only one at Iowa. They led 51-20 at halftime and won by 23. In the past three games, the Edwards’ – Carsen and Vincent, no relation – scored 78 points in the first half. The entire three opposing teams scored 69. Five different Purdue players have at least 30 3-pointers this season. The Boilermakers were 20-for-33 from beyond that range at Iowa, setting a Big Ten record for most 3-pointers in a conference game. In the past four wins, the Boilermakers have made 60 of them and shot 54.1 percent to do it. They’re shooting 49.5 percent from the 3-point line in their past eight games. Purdue has started the same lineup all 21 games, including four seniors who are 58-6 at home in their careers. At last count, the Boilermakers were third in the nation in 3-point shooting, which goes nicely with being fourth in field goal percentage defense. Not to mention eighth in assists, ninth in assist-to-turnover ratio and 12th in blocked shots. Not to be a party pooper, but coach Matt Painter wants a few things kept in mind amid all this happy talk, and all these dominating numbers. Going 20-for-33 from 3-point range doesn’t hurt, either. Purdue has every reason to ask one question. Why not us? The way this season of opportunity is going, lots of teams will be asking that question in seven weeks.